Hayduke's been swimming so much that his ears have been bothering him. 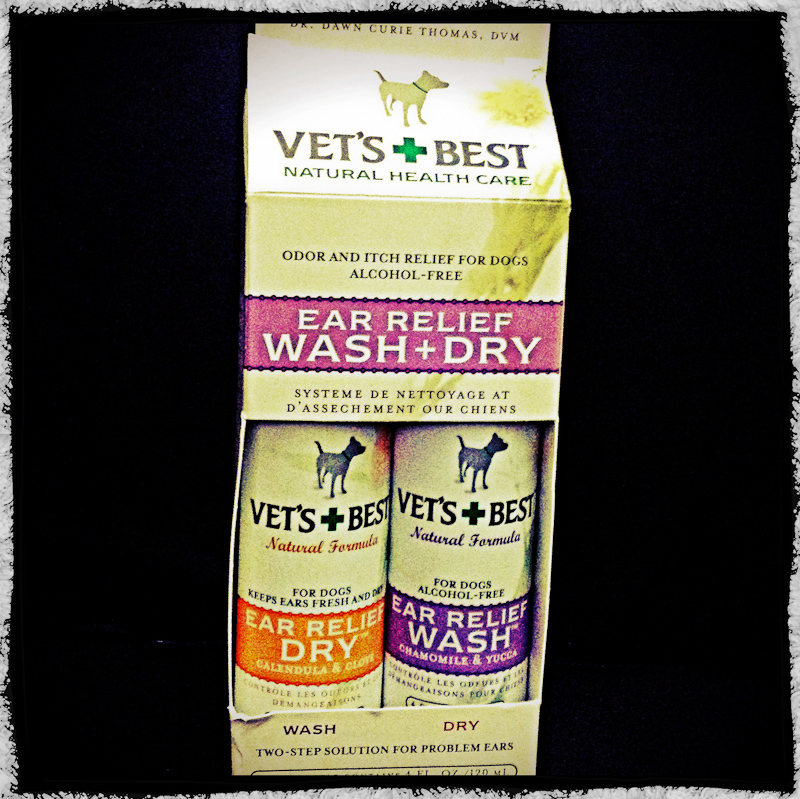 We ordered some stuff online that was recommended as a sort of dog swimmer's ear remedy. It reviewed well, and we figured it would help. Last week, we noticed some little bumps on top of his head. No big deal, we thought - they're probably some kind of bug bites, or scratches from sticker bushes incurred while crashing through the underbrush in the woods somewhere. But this week, on Monday, the little bumps were all over his poor head, and they were bothering him. All around his ears, and all down his neck, were little bleedy bumps. On Tuesday they were worse, and by Tuesday night they had spread to his muzzle. His eyes and mouth were all swollen. He was really feeling bad, and it was scary for him and for us. First thing Wednesday morning, he and I were at the vet's office. The awful hives and the swelling were an allergic reaction to the ear stuff, they said. He got a terrible haircut and some benedryl and steroid shots, and I stayed home all morning with him until the antihistamines kicked in and the swelling started to subside. He's got different ear medicine now, and some oral antibiotics, but it's going to take awhile for these awful itchy bleedy hives to go away. And the worst part? He's not allowed to swim for ten days. 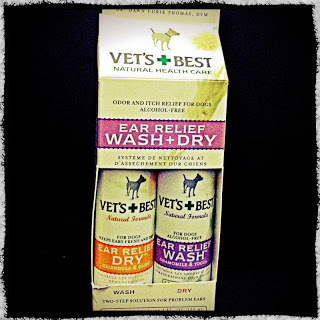 So stay away from "Vet's Best Ear Relief" or else your $12 in over-the-counter product will turn into a $150 vet bill!